1. head on over to yellow hope & leave a comment with your favorite item from the shop. I want to frame them behind an old window pane that I just bought! They'd be perfffect! LOVE THEM. 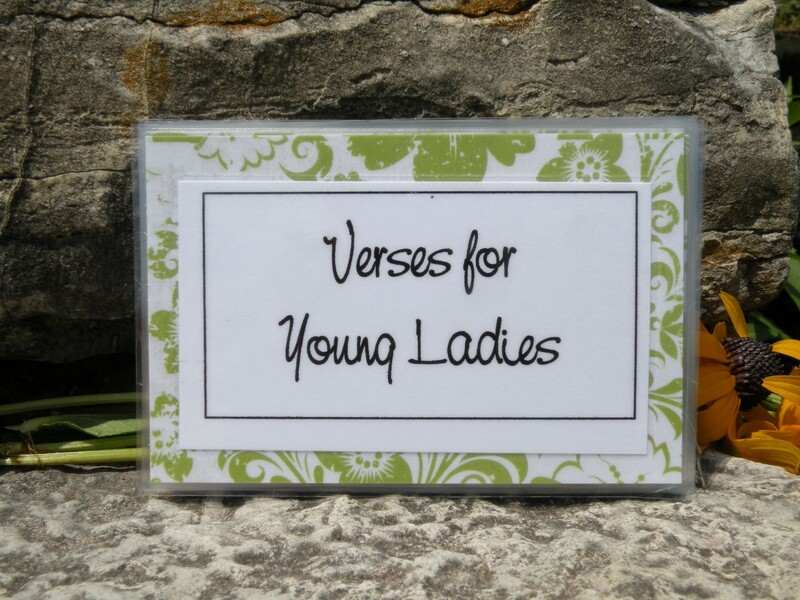 I'd go with the "Verse for Young Ladies"or the crysals that I think might fit an old lamp I have. I would love the Duties of a Wife cards!! This is such a great idea! I love the idea of peace cards... or duties of a wife. 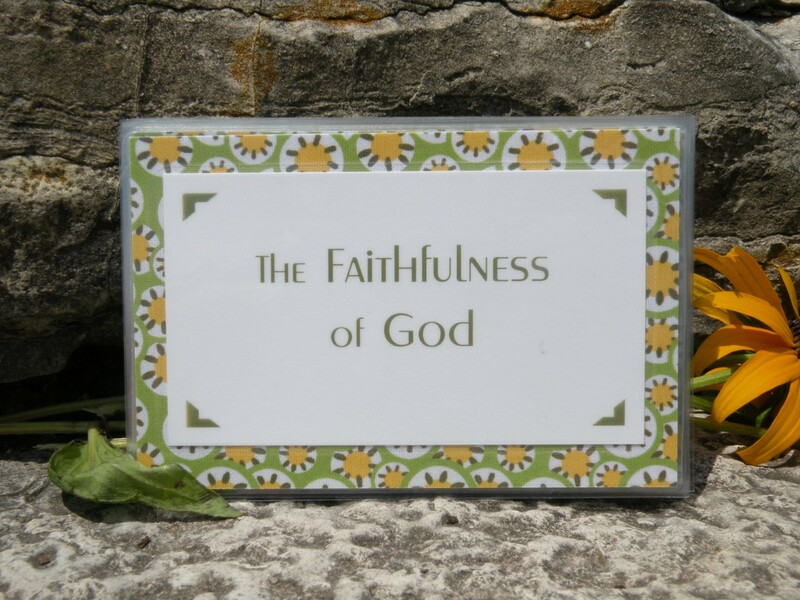 God's Faithfulness cards. Mostly because I need to remind myself of this very thing on a regular basis! What a great idea! duties of a wife. love it! I love them all! what a great idea! I really love the memory verses on God's faithfulness! Scripture memory cards on PRAYER and PATIENCE please! I need all the help I can get with that! 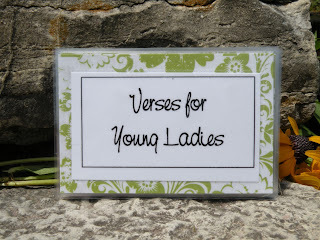 I would pick the Duties of a Wife or the Verses for Young Ladies cards. The memory cards are such a good idea! I think my favorite is the "Goodness of God" set. 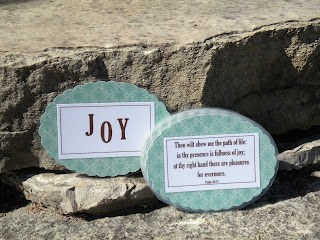 Wouldn't it be fabulous to see little reminders of His goodness on pretty little cards all over the house? My friend's birthday is coming up and I think she'd love these too, I may have to get them for her if I don't win! Beautiful shop! Hearted this one! I think my favorites are the praise cards - great idea!!! 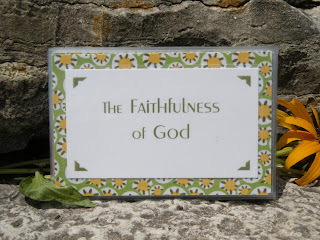 I like the God's Faithfulness cards. What a great shop! I would love the verses for young ladies. I like the verses for young ladies. what a cool idea! i love em all! Duties of a wife or God's faithfulness. I would like the Duties of a Wife or the Peace set. Love your work, Becca! theses are exactly what ive been looking for!!! i always write my own devotion cards but never use them because they just arent appealing in my own handwriting! these are way cute and i cant wait to get my hands on them. thanks for the blogiversary or i would have never have found these!!! tweeted and if i could tweet to the whole world i would!! i would love this to stick in my car! what a GREAT giveaway!! Love the patience memory cards. Perfect to pull out of my purse and read when I'm feeling impatient and only thinking about my own lil' world. God's Word will definitely put things back into perspective!